This was the final frame from my night at Joshua Tree National Park. It was taken moment before the moon set behind the mountains, casting the landscape into total darkness. I spent a lot of the night experimenting in various techniques while using the moon as my key source of light. 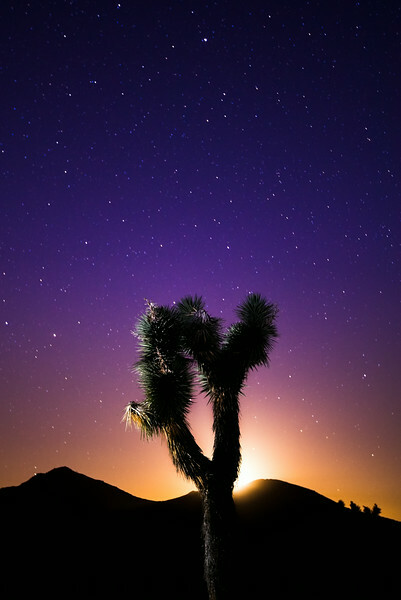 I thought it would be interesting to use the moon as a backlight to silhouette a Joshua Tree while using a thirty second exposure to enhance the nights stars. Last thing I did was use an auxiliary light to highlight the edge of the joshua tree to give is some color and texture.